Many families never plan menus. They go to the grocery store with no idea in mind of what they want to buy. Is it any wonder that there is often nothing in the house to eat? When I go to the store with no menus and no list, I return home with $50 worth of chips and snacks and little else. The next day I am back in the store again, trying to decide what to have for dinner. Menu planning is not a difficult task. It seems to take a lot of valuable time, but in the end it actually saves time in unnecessary trips to the store, and the nightly indecision of what is for dinner. I typically plan 5 evening meals, plus a leftover night and an eat-out night every week. I do not always know in advance which meal will be eaten on any given night, but I have on hand ingredients for 5 evening meals. When the kids were little, Friday was pizza and movie night. On my way home every Friday, I would pick up pizzas and a video. It was a nice relaxing way to end a very busy week. Planning menus does not have to make you inflexible. If I end up eating take-out twice this week because of an extra busy schedule, the extra meal that has not been eaten just goes to the top of next weeks selections. Of course, perishables have been eaten first. 1. The weekly activities. If Tuesday and Thursday are extra busy because of ball practice, etc. I either plan a very fast meal, a crock-pot meal or take-out. Usually, I do not actually plan take-out, it just happens. 2. Cooking time required. Consider not only the total cooking time, but also the cooking times of each individual dish. You want dishes that do not all require attention at the same time. If my main dish requires a lot of last minute attention, I would serve a salad or vegetable that was made ahead with it. 3. Plate appeal. If the food does not look good, no one is interested. This does not mean that you have to plate like a professional every night; it simply means that you should imagine how the dishes will look together when planning. Consider a meal of: Country Fried Steak with White Gravy, Mashed Potatoes, and Cauliflower. Your plate would be white, white, and white. Not very appealing. If you changed the vegetables to green beans and carrot coins, the plate is now colorful and appealing. Of course, you will choose the foods that your family likes, but try to imagine the foods together on the plate as you are planning. 4. Likewise, you would not want Fried Chicken with Fried Squash and Fried Okra. While I like all of these dishes, it is too much Fried! I guess the only exception to this would be Fish and Chips, but in general, choose different cooking methods within the meal. 5. Consider the weather and food temperatures. Hot soup is so appealing on a cold day. Not so appealing in August in the South. 6. Consider what vegetable and side dishes complement the main dish. There are some traditional favorites such as pineapple or sweet potatoes with ham. But you do not have to be limited to these choices. Think outside the box occasionally. 7. Food costs. 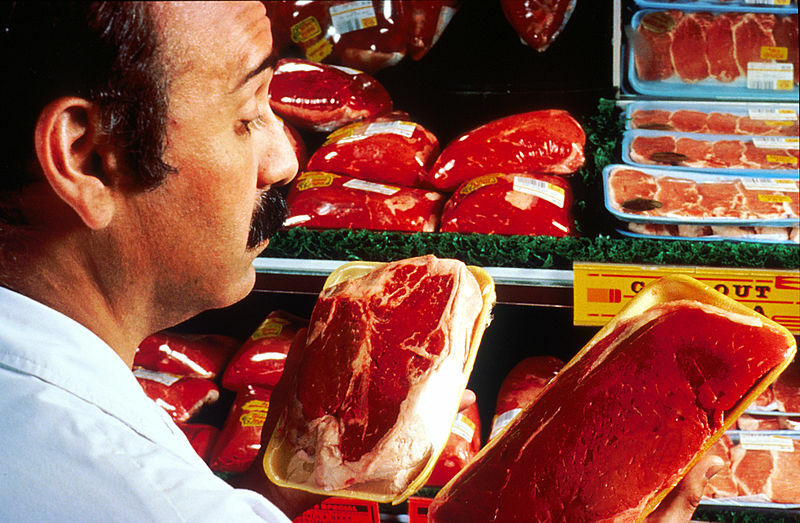 When I shop for meat, sometimes the costs per pound are shocking. But I have learned to consider cost per serving rather than cost per pound. Sometimes a more expensive meat per pound is actually a better buy because it yields more servings. If keeping costs down is important to you, definitely plan your menus in advance, using the sale paper as a guide. Plan omelets for one night, to counter balance more expensive items on other nights. 8. Variety. Try something new occasionally, or have a meatless meal, or an international night. Do not let your meals become boring. When you plan your menus ahead, then go to the store with a shopping list, you will find that you avoid unnecessary trips to the store during the week and thereby save money. Tip: When I plan my menus, I write each on a 3 by 5 index card. On the back of this card I write the shopping list for this meal. File these cards according to type in a file box. (I know these are out of style, but I like them. You could do the same with a computer file.) After several months you will have a pre-made selection. I recycle the cards, just choosing which meals I want and heading to the shopping center, or even take the card box with me to the store and choose my meals while looking through the meat aisle. For instance, pork chops are on sale, so I look through my cards featuring pork chops and then use the shopping list on the back to complete my meal. I hope these suggestions help you, Enjoy!